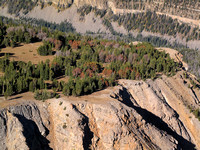 This revealing photo brought the plight of the Whitebark Pine into the national spotlight. 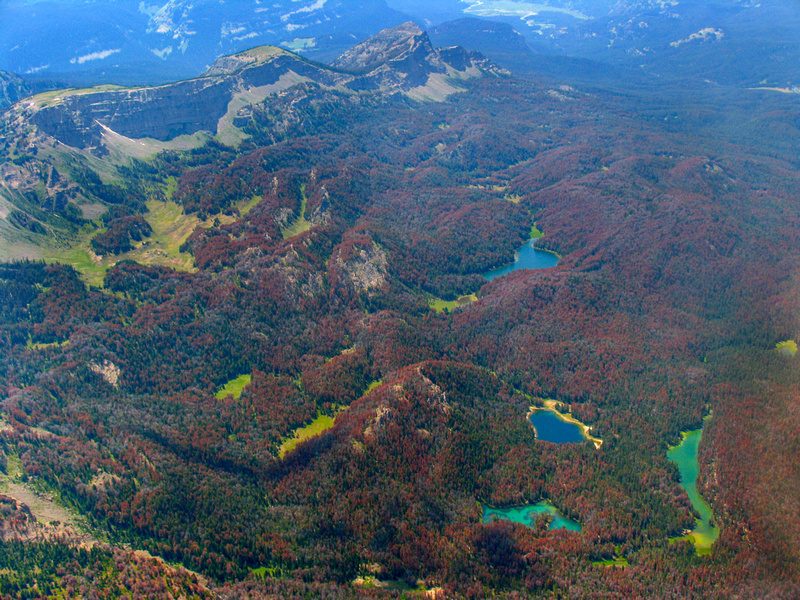 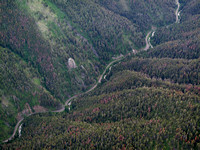 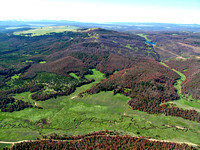 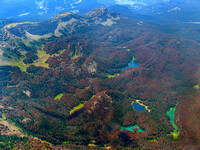 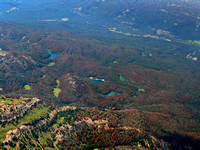 EcoFlight helped do aerial inventory in the Greater Yellowstone Ecosystem and looked at the scale of infestation of the Whitebark, a dietary staple for the grizzly bear. 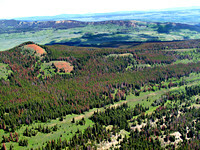 Global climate change can mean shorter periods of cold temperatures - giving pine beetles an advantage in forests like this.